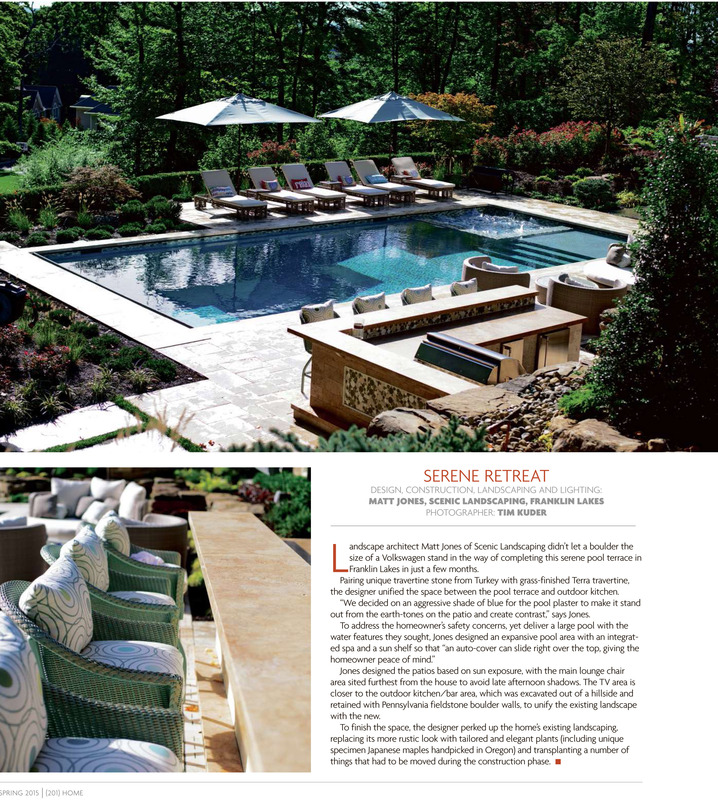 Tapestry Landscape Architecture recently had two of our new pool architecture projects showcased in 201 Home Magazine. 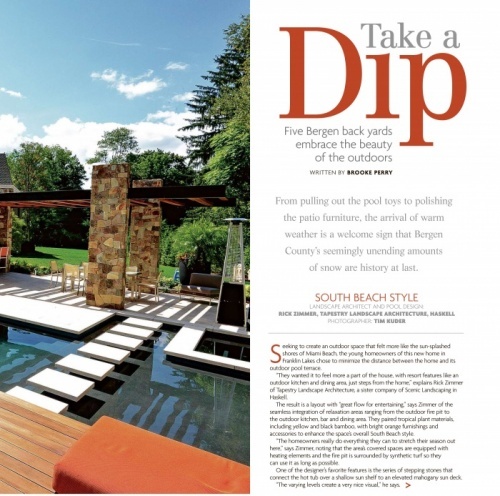 In the feature, the best of Bergen County backyards were highlighted for all readers in the area to admire. Our staff of talented architects and designers were the integral part of both projects, working closely alongside our clients to make sure their vision was converted onto paper, and carefully drawn out into plans to be executed. 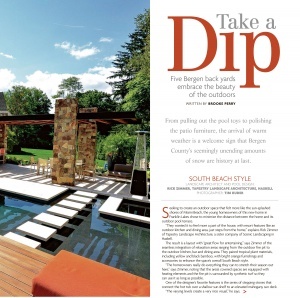 When it comes to pool architecture, it is important to cover all of your bases on a project. Everything from the initial concept design, to the renders and sketches and drawings, to details and plans, to proper permitting and budgeting is handled by us. In the projects featured, the size of the property was carefully surveyed to ensure every different element of entertainment could be strategically incorporated into the space. 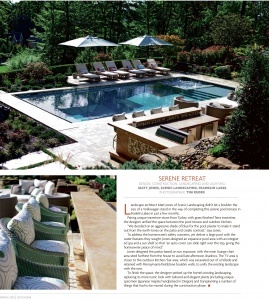 From custom kitchen designs, to bar areas, to an outdoor television and lounge space, to custom built fire pits every part of the property was optimally designed. With our sister companies, we are a full turnkey operation when it comes to pool architecture services. We handle the initial design, Tranquility Pools will install and swimming pool, and Scenic Landscaping comes in the finalize any hardscape and landscape needs. Our clients find this to be a huge benefit in working on big projects, knowing that all of our companies operate and function together on a project, so no important details are left unnoticed. At Tapestry Landscape Architecture, we have a creative team of licensed architects as well as professional designers who specialize in all kinds of pool architecture needs. If you are interested in learning more about pool architecture, or are interested in working with us on any type of our design work, please feel free to contact us.